Live updates from Apple's September special event in San Franscisco. 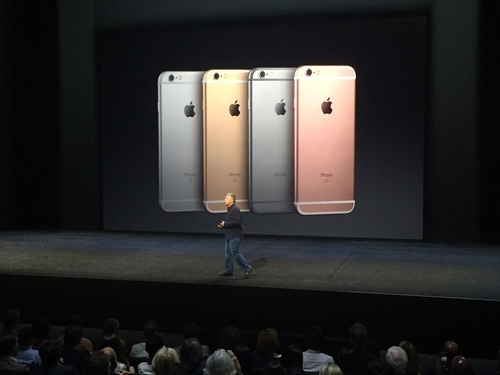 We have a new rose gold aluminum finish option to go with silver, gold and space grey. 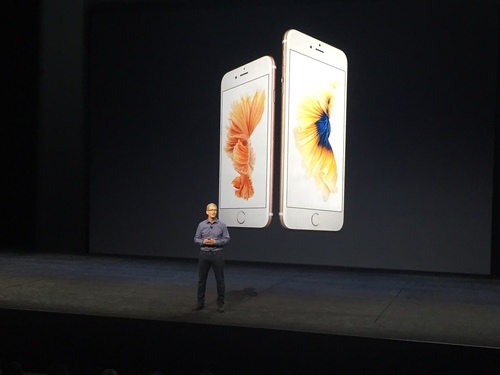 Both phones are keeping their specs - 4.7 inches for the iPhone 6S and 5.5 inches for the iPhone 6S Plus. 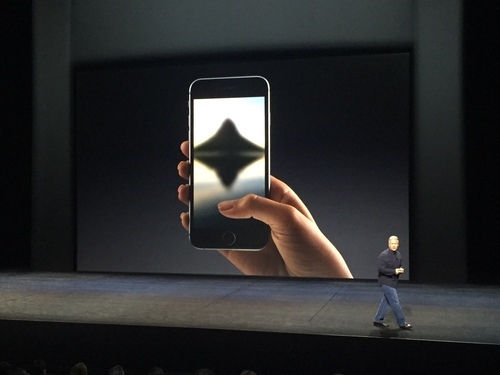 And here comes 3D Touch which can recognize force touch, enabling new gestures. It works on the home screen giving users short cuts to the things they do most often. It also works inside apps. Craig Federighi, Apple's senior VP of software, is giving us the first live demo of 3D touch. With a single gesture, you can now swipe between apps. 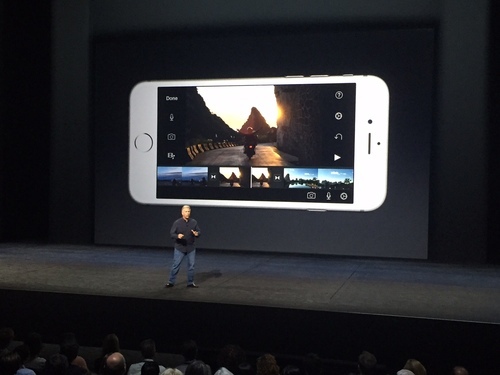 New iPhone Camera Details - 12MP iSight camera, 50 percent more pixels than before. For the first time in an iPhone, the 6S and 6S Plus will be able to take 4K video -- this means 8 million pixels giving an incredible level of detail. LIVE PHOTOS You can now press on photos and you'll get a few seconds of action -- a baby smiling, waves on the beach, etc., capturing the few seconds around the time the photo was taken. Apple has a new app for Android users to make it easier to switch. "It's the neighborly thing to do," Phil Schiller quipped. 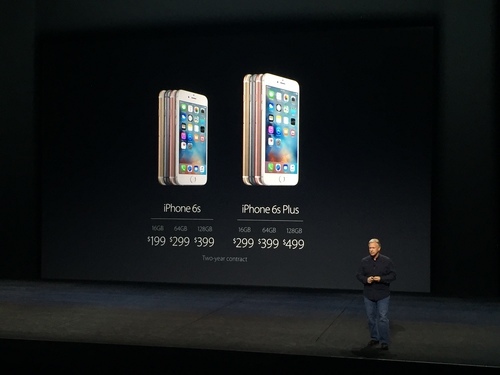 The iPhone 6S will start at $199 and the iPhone 6S Plus will start at $299. iOS 9 will be available beginning September 16. Apple is starting a new iPhone upgrade program this fall, giving users the option to get a new iPhone every year with prices beginning at $32/month. No more waiting for that upgrade and the best part is, you can choose your carrier. What we haven't heard today: No numbers on Apple Watch sales or an update on Apple Music. Pre-orders for the new iPhones starts this Saturday and will begin shipping on September 25. "One Republic" frontman Ryan Tedder apologizes that you've heard "Good Life" in Whole Foods too many times while buying gluten-free food. 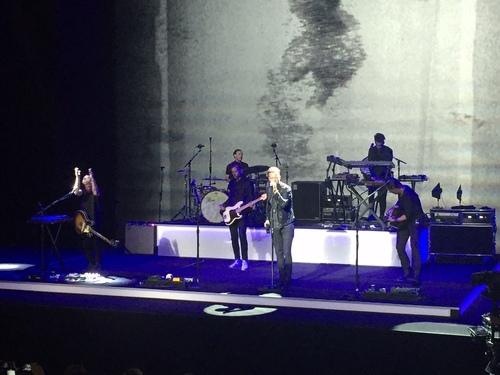 He said iPhone 6S is gluten-free before performing the song. 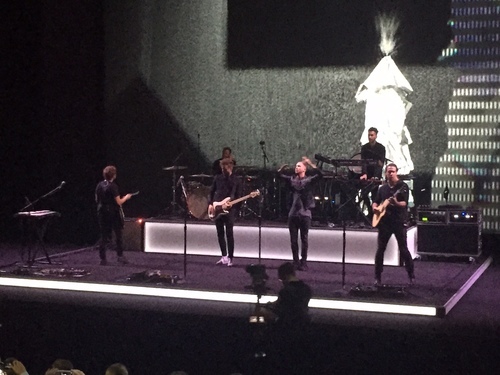 With One Republic closing the show, the Apple event is complete. Check out ABCNews.com for more coverage on everything that was announced today. Thanks for following along with us!